Devon Watene arrived at Anakiwa in January to take on a Classic 21 day Outward Bound experience. For a long time it seemed certain that Devon would never make it to Anakiwa. After leaving his Te Awamutu school at 16 he struggled to find employment. Things were difficult at home too, with six in the family and only one income-earner. 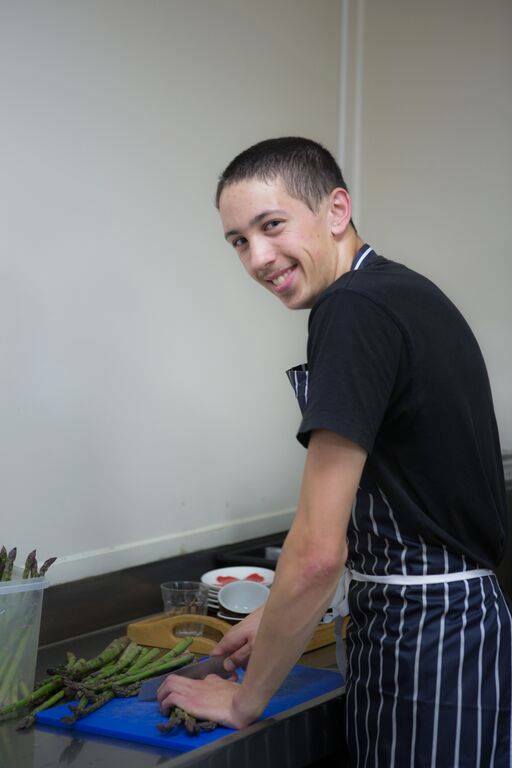 After some encouragement from Work and Income New Zealand, Red Kitchen’s Megan Priscott decided to take a leap of faith and employed Devon as a kitchen-hand. Defying the odds, over the last two years he has become an invaluable part of the 16-person café team. Until recently Devon walked the eight kilometers to work each day, working hard to save for the scooter he now uses for the commute. Last year Megan mentioned that Devon might like to go to Outward Bound. He had a look at our website, and thought the courses sounded amazing. However he knew he could never afford the course fee, and tried to forget about it. Megan wasn’t ready to give up – she knew that Outward Bound would be life-changing for Devon. Red Kitchen secretly started fundraising for Devon’s course fee. Their customers and friends had been following his progress, and were keen to help out. When Megan let Devon in on the secret, he was concerned. His wages were now an important source of income for his family, and he was apprehensive about asking for his father’s approval to go to Anakiwa. Then something really good happened. Dad said yes. The biggest barrier had been broken and, with Megan’s help, Devon began to fundraise. They worked hard, running bake sales, car washes, sausage sizzles and raffles to generate the funds. As the course date drew closer it became clear that there would be a short-fall. 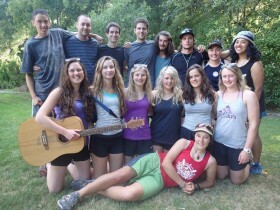 Thanks to a generous Outward Bound donor, we were able to top-up the remaining course fee for Devon. We were confident he had met our fundraising criteria of “100% effort”! "When we got there we were thrown completely in the deep end. Our first challenge was to rock climb blind folded. It was actually quite fun, I just thought about trusting in myself and trusting in the people around me. Some of my watch mates freaked out so I encouraged them, saying 'you can do this, we are not going to leave you, and we will not let you down." "One of the hardest things for me was to letting go of worries and fear, to learn to live in the moment. I did not have the easiest start in life being born with meningitis and asthma and spending months and months in hospital. This really affected me and I have always been the sort of person who worries about what is going to happen. Worrying about my family and what we are going to do. My watchmates and the instructors around me really helped me to relax, live in the moment and accept what is coming next." "The highlight of my course was standing on the top of the mountain after a three day tramp and knowing that we made it together as a watch no one was left behind. It was a really hard tramp, I was getting really mad and angry at 2am in the morning and we were still walking. People were getting slower and slower and I was thinking can things get any worse. Finally we got to the end of the tramp at 3am in the morning and I was like YES we made it, the pain is over! I talk with my watch mates all the time. We keep supporting each other." 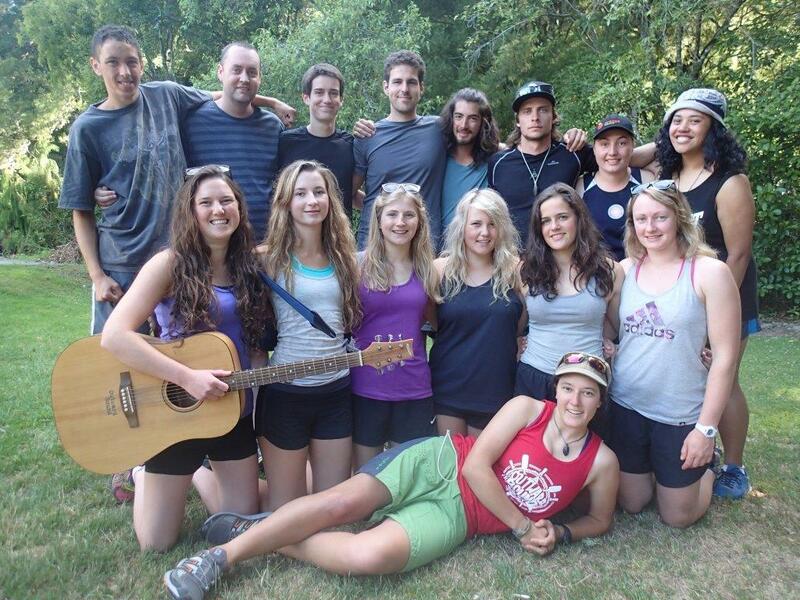 "I think everyone should have the chance to do Outward Bound. I had a troubled life with health problems and moving around a lot. It was hard not making any friends and going to so many different schools. It wasn’t my choice, it wasn’t my fault, but it was hard, people got really sick of me. I want to encourage others to be strong. I want to tell people don’t let the past ruin what you have now. Look at me here I am 20 years old, I have a good job, I have good friends. I want to open my own bakery one day. I want it to be the sort of place where people can smell the bakery from across the road and they just want to come in. One of my specialties will be tarte tatin, it’s like an apple turn over but baked with butter and brown sugar, it is really good. It may take me five years but I now know I can do it. I am willing to do what it takes. Outward Bound has taught me to give 110 percent into everything, to do it even when you are scared, just put your hand up and say I’ll do it.